If you love adventure, nature, and rich indigenous culture you will discover here how to visit the Intangible Zone, ancestral homeland of the Huaorani, who came into contact with Western cultures in the late 1950’s. The Huaorani are proud warriors and guardians of the Amazon rainforest. More than a tour, your visit to the Intangible Zone with the Huaorani will be the trip of a lifetime. The Huaorani who live in the communities of Bameno, Boanamo and Omakawayno delight in teaching their guests about Huaorani culture and ome, the rainforest that is their home. Your visit to the Intangible Zone, located in the Yasuní Biosphere Reserve, will also support an extraordinary community-based initiative to defend Huaorani culture, protect Ecuador’s Amazon rainforest, and provide public health and educational opportunities to members of the community. Whether you choose a Bameno Community Tour, Omakawayno Community Tour or Boanamo Community Tour, you can expect to have the trip of a lifetime. 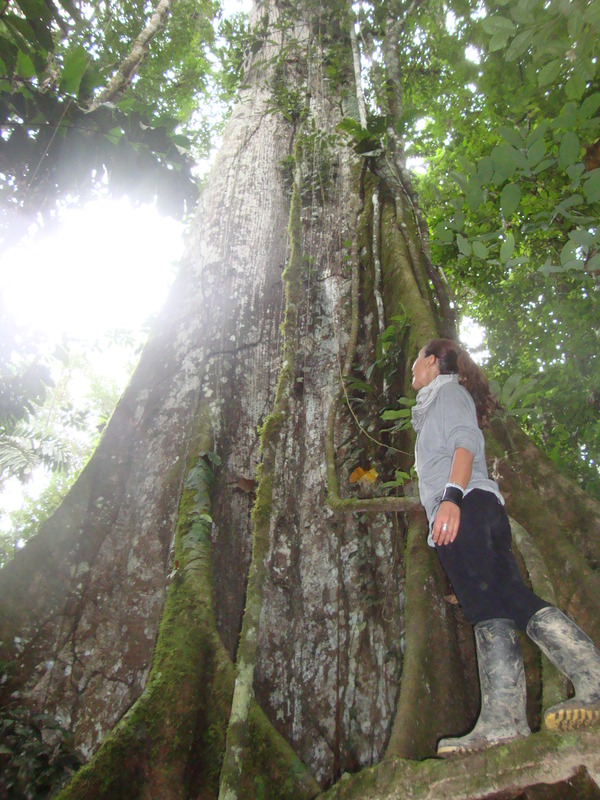 Visiting the rainforest in Yasuni with the Huaorani who live there is an unforgettable experience. You will see scenery and wildlife that most people only read about or see on television, and learn firsthand about Huaorani culture. You can travel to your destination by charter plane or motorized canoe. The dates and length of your tour are flexible, but if you travel by motorized canoe, you will need at least a week. Charter planes leave from Shell Mera, and take about one hour and ten minutes. They are faster and more comfortable than travelling by canoe, but cost more. Shell Mera is a five- hour bus ride from Ecuador’s capital city, Quito, or about a two-hour ride from Baños, a popular tourist destination. Motorized canoes leave from Francisco de Orellana (Coca), and take about two days. They can be arranged for groups of at least 3 tourists. 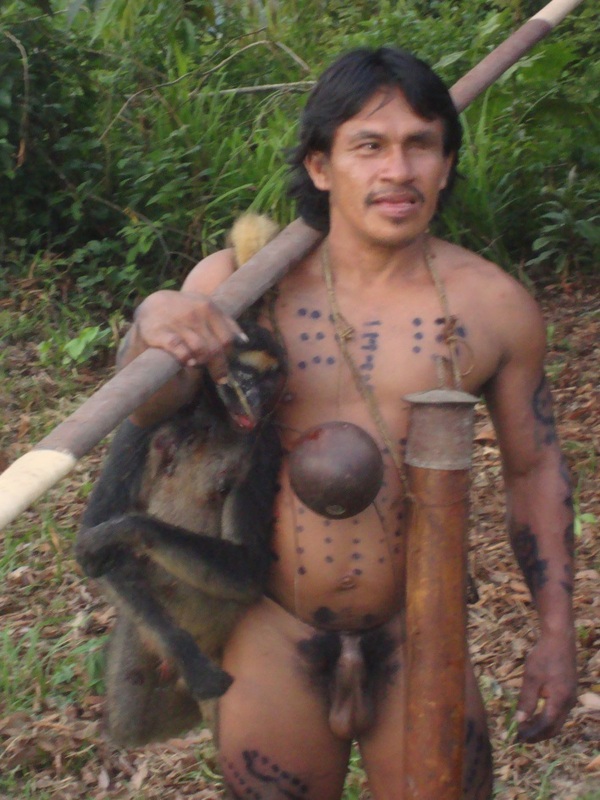 Your Huaorani guide will meet you in Coca. You can get to Coca from Quito by commercial plane (about one hour) or by bus (about 10 hours). Tags: Adventure, Amazon, Bameno, Ecuador, Huaorani, Huaorani tourism, Intangible Zone, Judith Kimerling, Jungle, Rainforest, Waorani, Waorani tourism | Permalink.